In the last section of this cheat sheet, measurement conversions and matters relating to it are basically the main subject of the sector. Is it important and essential for you to keep these things in mind especially when you are about to efficiently organize your kitchen, preparation, and cooking as a whole. 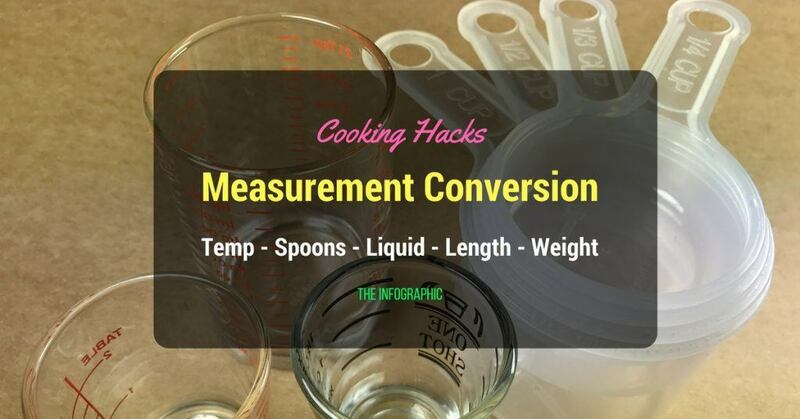 Knowing and understanding how measurements and conversions work in the kitchen world largely benefits you as a person who solely wants to organize everything in the kitchen hood. Also, you may want to check out this conversion calculator which works on Temperature, Liquid Volume and Weight (Mass). Aside from cooking and preparing, another aspect that you could improver when learning these things is the ﻿﻿storing. As a start, the very initial thing you have to understand is the abbreviations. 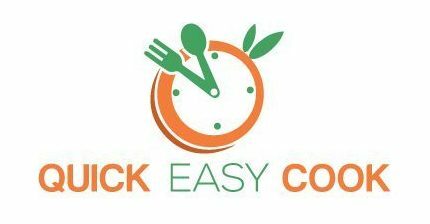 If you would notice, all cookbooks and cook guides are enlisted with abbreviations. There is a good reason why these are existing. Nonetheless, you have to equip yourself with these things. The usual abbreviations you could see when you are dealing with weight and mass are G and Kg. These letters mean grams and kilograms. As for lb, it means pounds. The scenario is different when you are to deal with liquids. Note that all phases of matter have different units of measurements. Normally, the abbreviations that would always encounter when you deal with liquids are oz and fl oz. These two abbreviations mean ounce and fluid ounce. When you see pt, qt, and gal, these mean pint, quart, and gallon respectively. As for tsp, tbsp, L and mL, these things denote teaspoon, tablespoon, liter, and milliliter respectively. Now, when you are dealing with lengths at times in your kitchen – the usual abbreviations you would surely encounter are m and mm. These two mean meter and millimeter. In cooking processes and preparations, it is normal that you would encounter spoon measurements. It will be beneficial and largely helpful when you equip yourself with the accurate amounts of measurements when it comes to matters relating to spoon measurements. By and large, there are actually two measurement systems being widely used in the recent times. Metric system is accordingly used by the rest of the world while imperials is largely used in the USA. Although these two are quite different in all aspects, there are specific equivalents for each measurement. Hence, it is important for you to regard these things especially when you are dealing with preparation and cooking as measurements are very essential in this aspect. Click here to read more on Metric vs Imperial System. For small scale, the usual measurements in Imperial system are seen to be in the range of ¼, ½, ¾, and 1 1 inch. The equivalent of these in the Metric system are 6, 13, 19, 25 mm respectively. For large scale, the length measurements you would encounter more often than not are 10 inches, 1 foot, 2 feet, and 1 yard. As for the equivalent of these in the metric system, these are accurately rated at 254, 305, 610, and 915 mm respectively. Here is another resourceful cookbook about length measurements﻿. In the American liquid measurements, 3.79 liters is equal to 128 fl oz which is also equivalent to 1 gallon. A gallon of liquid is equivalent to 2 quarts. A quart is equal to 2 pints. As for a pint, it is equivalent to 2 cups. Now, 2 cups is equal to 450 ml and 450 ml is equal to 16 fl oz. 1 cup is equal to 8 fl oz or 225 ml. 1 tablespoon is equal to ¼ fl oz or 16 ml. As for a teaspoon, the average measured equivalent of this is rated 5 ml. On the other hand, the UK liquid measurements is quite much simpler than the American system. 1 teaspoon is equal to 5 ml. A dessert spoon is equivalent to 10 ml. As for a tablespoon, it is rated as well at 15 ml. Dry Ingredients are usually encountered when you are dealing with b﻿﻿﻿aking supplies and products. Correspondingly, measurements are very much significant in this aspect. 30 grams is equivalent to 1/16 lb or 1 oz. Note that temperature is largely important in cooking especially when using ovens﻿﻿, toasters, heaters, and alike. In actuality, there are two unit of measurements being significantly used nowadays to measure the temperature. Degree Celsius and degree Fahrenheit are the two usual units being used. Although it is largely known that 0 degree Celsius is equivalent to 32 degree Fahrenheit, the formula to convert temperatures is quite technical especially for people who are not really tech-savvy. Nevertheless, the most important temperature ratings are usually 0 degree Celsius or 32 degrees Fahrenheit which is also known as the freezing point. The same is true for 100 degrees Celsius or 212 degrees Fahrenheit as these are rated temperatures for the boiling point of water. When baking, the usual temperature being encountered is seen at 350 degrees Fahrenheit or 180 degrees Celsius. Next: H﻿ow Many Tablespoons In ﻿A﻿ Cup?